The invention of the Internet was a game changer in business and marketing. At first, all businesses started by simply creating their websites but as the Internet matured, businesses started seeing other opportunities for using it as a highly effective marketing channel. While most businesses are now aware of its potential, although many of them haven’t really started embracing it, very few are aware of an even more effective emerging marketing channel – mobile technologies. Why is mobile marketing so great? Digital marketing research firm InsightExpress found that mobile ad campaign norms were four-and-a-half to five times more effective than online norms. One can easily understand why. The adoption rate of smartphones and tablets is truly amazing. eMarketer expects 4.55 billion people worldwide to use a mobile phone in 2014. Now let me ask you a question. What are the three things you take with you before leaving your house? Your keys, your wallet and your smartphone! People check their smart phones and tablets several times a day whether they are at work, while travelling or at home. Moreover, mobile devices provide capabilities such as geolocation. Thus, advertising through a mobile channel allows you to target customers not only at the time you want but also based on their location. This course has been designed for people who need to acquire the skills to develop powerful Android applications. It covers key topics such as using databases, asynchronous networking and the use of geolocation and Google Maps. You will also learn about the Android best design patterns. Let’s say you sell shoes and you have several retail stores around the country. You decide to use newspapers to advertise your shops. People will most probably read the newspapers at home or at work. They might be attracted by your awesome ad design and find your product really interesting. However, very often they will forget about it. Imagine now that you could send a notification to a person, through a mobile application, only when that person is within 25 metres of any one of your shops telling them about a special offer available on presentation of a coupon (a mobile coupon which is available through the application itself!). The chances of that person getting into your shop will increase greatly. Mobile marketing takes marketing to a whole new level. In order to give you some inspiration on how to leverage the power of mobile marketing, below are three real-world examples of businesses who have created great mobile marketing campaigns. Cashback and voucher website Quidco.com has launched a mobile application that rewards users with cash and exclusive offers for checking in to certain stores and restaurants. Cashback is paid when people click through and make a purchase at any of the retailers listed on their website. The Quidco app provides users with all the money-saving offers available nearby, including vouchers and in-store cashback deals. It also presents cash incentives and bigger offers for users who check in to certain restaurants and stores. “While other apps inform the users of offers in their local area, the incentivised check-ins on the Quidco app will encourage consumers inside stores, thereby giving retailers more of an opportunity to influence customers and make a sale,” says Quidco’s Hannah Green. Edendale is a Mauritian company which specializes in the distribution of dairy products, juice, cereals etc. 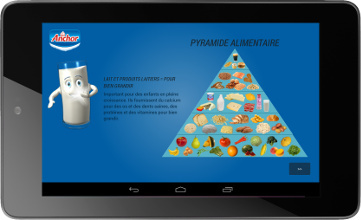 They contacted us last year to develop a mobile application – an Anchor Nutritional Game. The game shows you examples of balanced diets and allows you to create your own from a list of food items provided. It then explains how using Anchor products can help you achieve a balanced diet. When customers visit a supermarket, they can play the game on a tablet. This is specially fun for kids and will you be able to say no when your 8 years old daughter will ask you to buy that bottle of milk? Mobile marketing offers an endless number of possibilities. The only limit is your imagination and your ability to develop mobile applications. Here’s a piece of advice: mobile is the future and is here to stay. Successful companies will be those who will adopt both online and mobile marketing. It is possible to outsource the development of the mobile application (to Knowledge7 say). However, if you plan to create several mobile apps, having your own development team might be less costly. 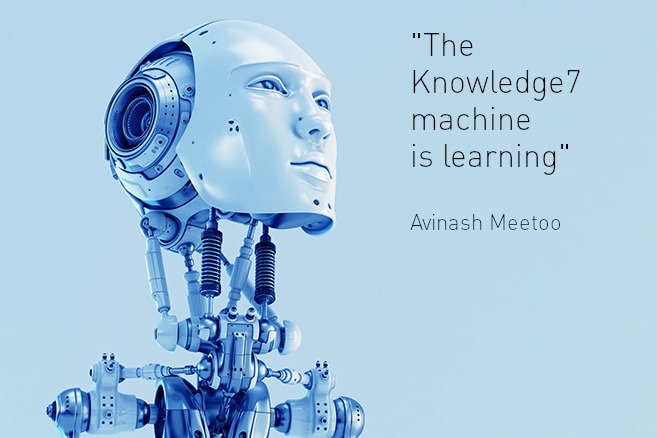 In this case too, Knowledge7 can help. Do not hesitate to contact us for FREE advice.